Again wishing for cooler weather! I love the look of pumpkins and gourds adorning front porches. Use your different ink pads to create a faux wood look for your background. I stamped some leaves on the die cut behind the pumpkin. 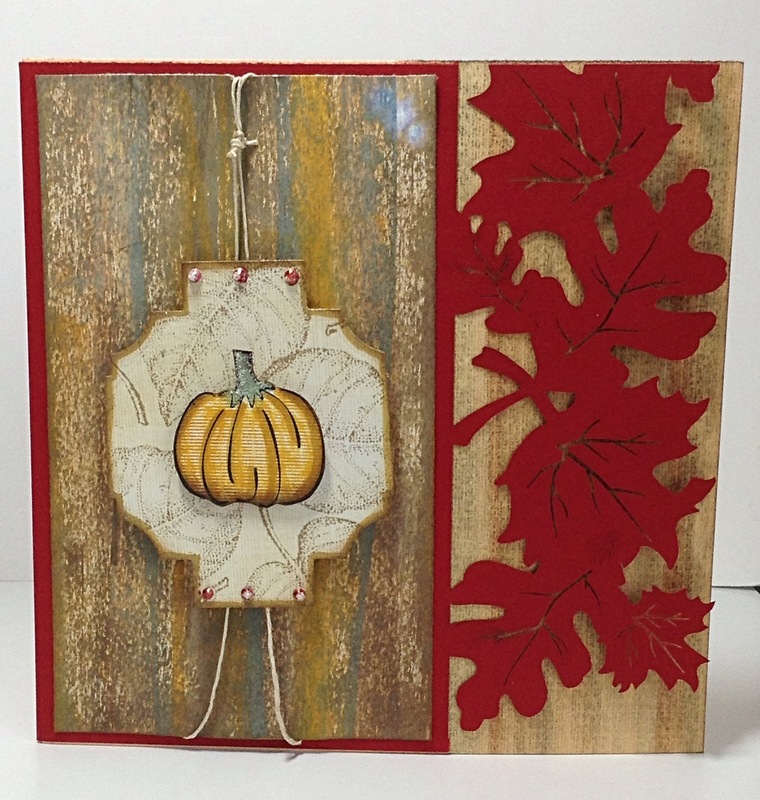 I hope this inspires you to create some fall decor or cards for loved ones. 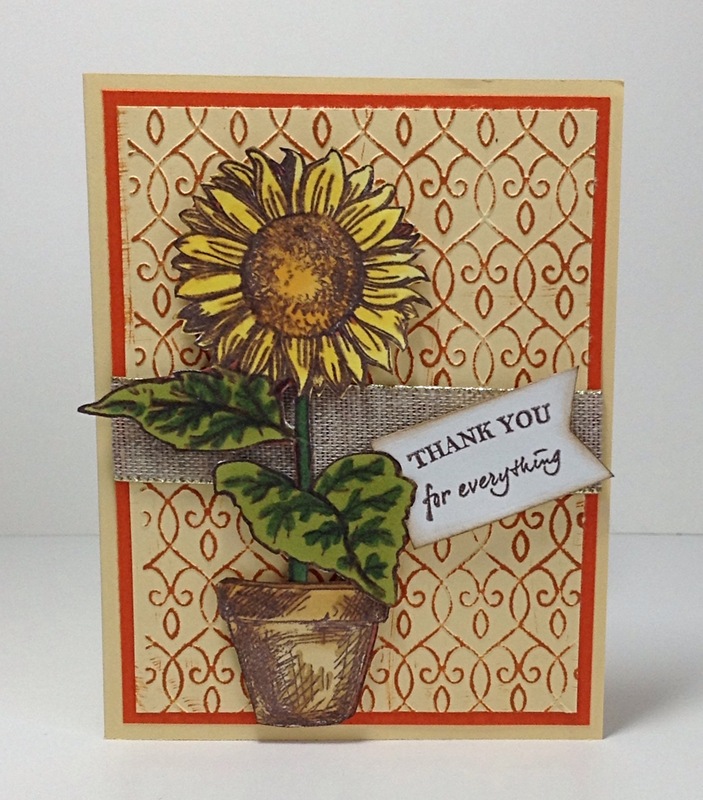 Use your favorite embossing folder and then use a brayer or gently slide your ink pad over the surface. You can use color or multiple colors. Stamp a focal image, color and then fussy cut. Embellish with some ribbon and a sentiment. My maternal Grandmother, Noni, was a very special lady. Today we celebrate what would have been her 106th birthday. 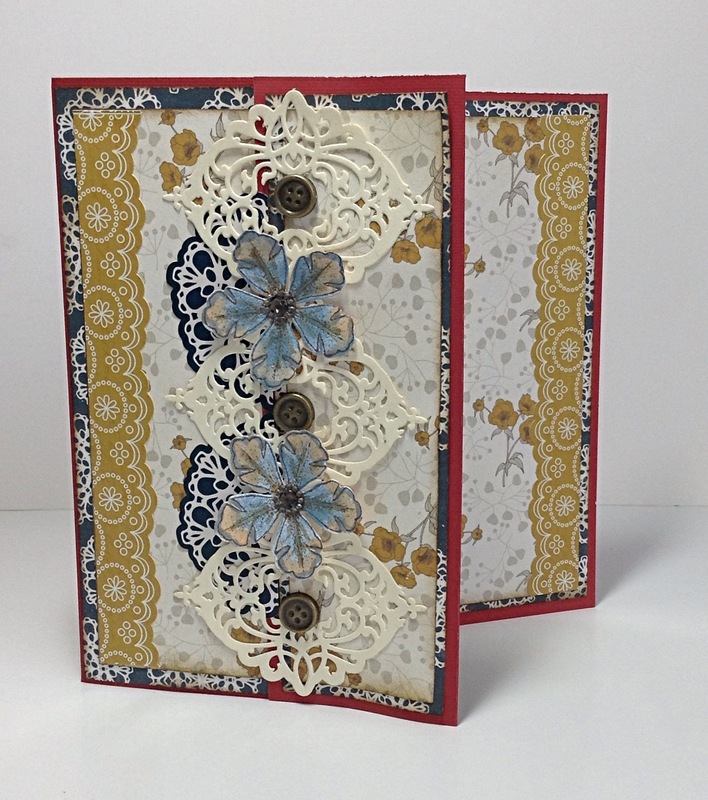 This card’s flowers, lace and floral papers are classic Noni. For those inclined to celebrate today the Noni way, please have a piece of pumpkin pie, a piece of Sees candy or fruit salad in her honor.